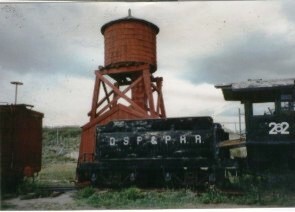 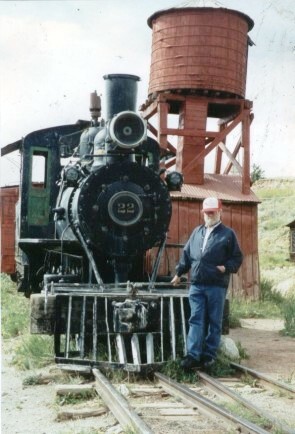 Breckenridge and Fairplay were major mining centers on the original DSP&P mainline. 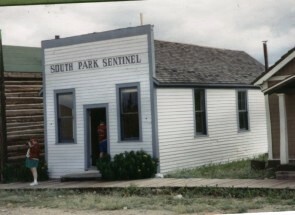 South Park City is an historical village started in 1959 and run by the South Park Historical Foundation. 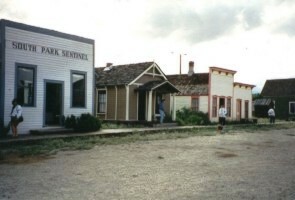 The buildings have been gathered from many locations to represent a typical small town at the turn of the century. 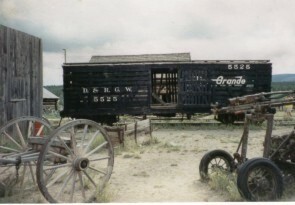 They are in good condition and hold many interesting artifacts. 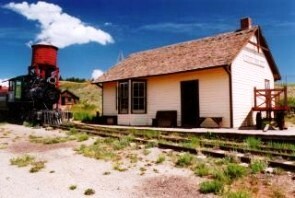 The train depot is from Buffalo, CO. 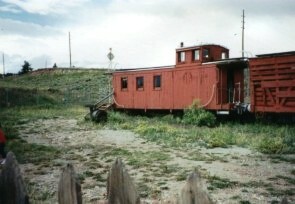 The locomotive is a non-operating 1914 Porter-built Mogul (2–6–0) from a banana company in Guatemala. 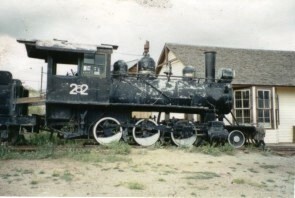 It is somewhat similar to Moguls that once ran on the C&S. 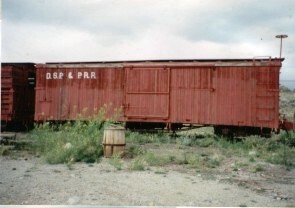 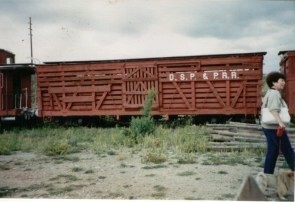 There are a number of freight cars and a caboose painted with DSP&P markings, but the lettering is not authentic in appearance. 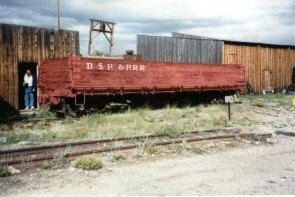 The cars themselves may be ex-C&Sng but there is no indication of their provenance. 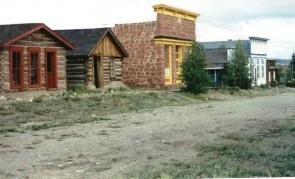 Photos are from 1994. 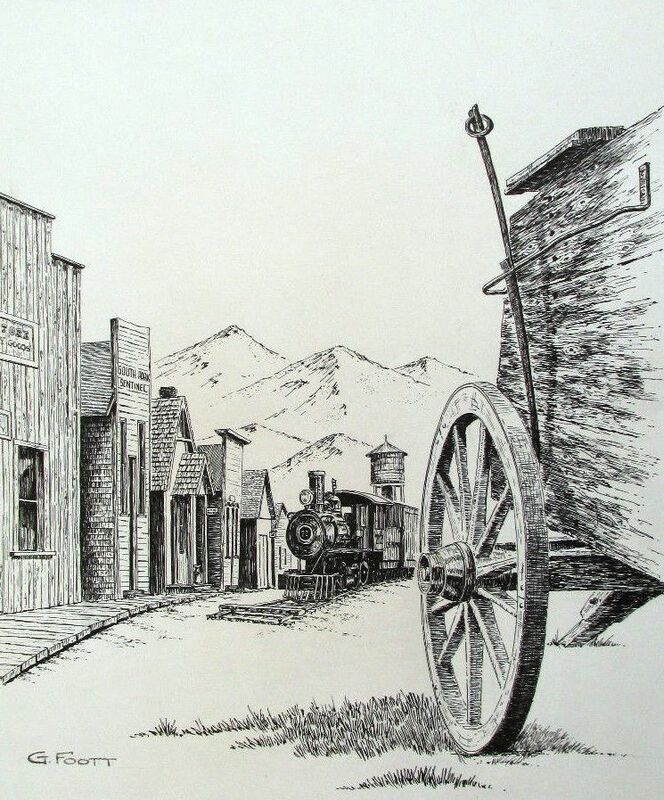 A pen and ink sketch by George Foott showing South Park City locomotive #22 on Main Street.